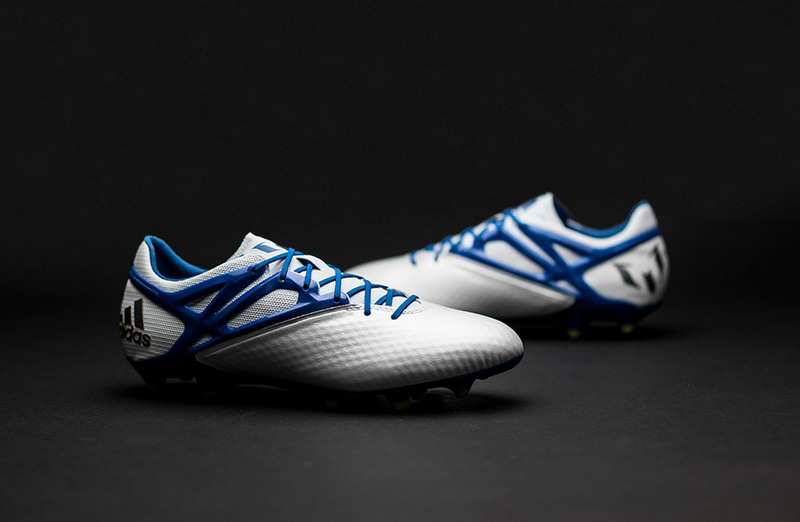 The newest adidas Messi15.1 boot is made with a visually clean design, which is inspired by the Argentinian flag. A designs goalkeepers will soon come to fear. Get the touch of a wizard, thanks to the dimpled MessiTouch upper material. When twisting and jinking through defenders you need the supreme stability provided by the MessiFrame. Developed in close collaboration with Messi, you get a grip fit for the very greatest player on the planet. The Messi15's outsole and stud-construction is specially built to withstand the strain of playing on artificial grass. You can therefore freely wear them on both AG and FG surfaces, without jeopardising your own, or your boots health.